was opened in 2001 and is located directly at Platzl in the historic city centre of Munich, in the immediate vicinity of Maximilianstraße and the opera. 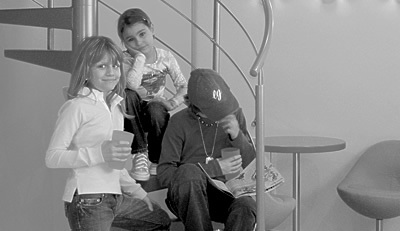 A very child-friendly practice with an imaginative ambience suitable for children is awaiting the young patients. Dr. von Rotenhan attaches great importance to the hands-on experience with the dentist and the dental care. The philosophy of her practice is based on holistic and customised treatment approaches, including e.g. hypnosis techniques, homoeopathy and nutrition education. Customised prophylaxis concepts are designed to heighten the awareness of dental and oral health in both the patients and their parents. After a comprehensive preliminary examination and briefing of the patient’s parents, the treatment method and therapy schedule covering the entire range of paediatric dentistry will be defined. The sensitive treatment of the young patients is the main focus of the practice staff specially trained to identify the children’s needs. The ma-jority of caries treatments are carried out under sedation. If a restoration requires a general anaesthetic, the pae-diatric dentist can rely on an experienced on-site specialist for paediatric anaesthesia. Dr. von Rotenhan provides treatment to patients with statutory and private health insurance coverage.